Lana’i, Hawaii, once known as Pineapple Island, produced more than 75 percent of the world’s pineapple. Although pineapple production ceased more than 20 years ago, traces of pesticide residue are still evident in some of the island’s soils and vegetation. The island relies upon imported food for its community members. Once a week, food is barged to the island to stock stores with dry goods and perishable items such as fruits, vegetables and meat. In 2015, First Nations awarded Kipuka Lana’i Farms $12,539 through the Native Agriculture and Food Sovereignty Initiative (NAFSI) to support a natural pig farm. The pig farm is based upon a holistic approach that uses natural resources to help the community reclaim control of its local food system. The pig farm is an innovative project that will allow farmers to achieve both their immediate and long-term food-production goals. In terms of their immediate goal, the pig farm will help produce healthy, chemical-free pork for community gatherings, celebrations and family events. A natural pig farm will help increase the community’s knowledge of where its food comes from and how it gets to their tables. 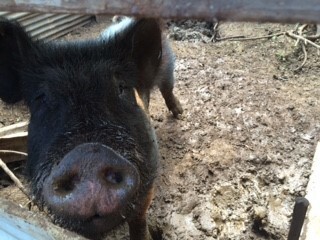 Kipuka Lana’i Farms has adapted the Korean Natural Farming (KNF) method to raise the pigs. The farm raises the pigs in open-range pens that are lined with a natural bedding composed of soil, logs, wood chips, leaves and pig manure. Additionally, cardboard, imu ash and microbes are added to the soil to boost the breakdown of animal waste and promote healthy bacteria growth for more fertile soil. The KNF method is an innovative technique that uses both nature and animal waste to help remediate and revitalize the soil. Eventually, this process will help Kipuka Lana’i Farms reach its long-term goal of growing healthy fruits and vegetables. This process, admits Hennessy, will take time. 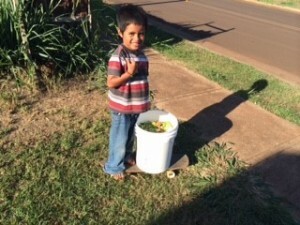 Kipuka Lana’i Farms has decided to share this important message with the community’s youth by launching a hands-on, experiential learning program. 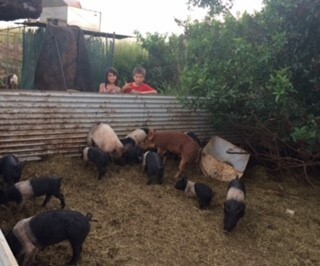 Currently, six youth ages 2-14 participate in the program that emphasizes animal husbandry and the important role that animals – especially pigs – play in Hawaiian culture and tradition. 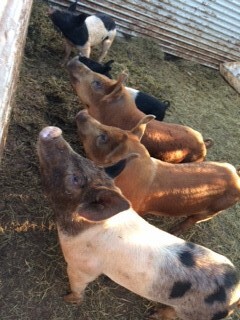 During this program, youth learn how to feed, water and care for pigs. Typically, they feed pigs with the kokua (cooperative effort or help) from family member, neighbors and local restaurants who provide kitchen scraps and leftovers. More than 1,250 pounds of food is donated to the farm each week through the kind act of kokua. This arrangement has benefits for the entire community by eliminating more than 5,000 pounds of garbage and waste from local landfills. Additionally, restaurants have saved approximately $600 a month in waste-management fees. During this program, youth participants also learn how to kalua (cook/steam) a pig in a traditional imu (or underground oven). 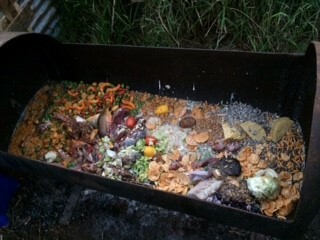 They work alongside community leaders and kupuna (elders) to help prepare and cook a pig for a family celebration. 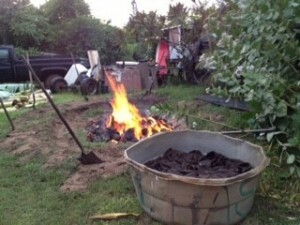 Together, youth and elders dig a shallow pit that they line with kindling and logs of kiawe (mesquite wood). Next, they cover the logs with smooth lava rocks and light the oven fire. Once the fire reaches the right temperature, they cover it with a bedding of traditional vegetation including mai’a (banana) and ki-ti (plant) leaves. They place the meat upon this bedding and steam it overnight. Ash from the imu is saved and used again later in the pig pens. “It is hard work and takes several hours to prepare, but it is definitely worth the effort,” said Hennessy. The youth component of this program will help ensure that future generations learn to appreciate and respect the environment. Overall, Kipuka Lana’i Farms’ holistic approach to pig farming is a positive example of sustainable agriculture because it is meeting the community’s present needs without compromising their future ones, and ensures a healthy food and environment for generations.